Handwork projects are in full swing as we enter into October at the Waldorf School of Cape Cod. I am pleased to say that the general atmosphere in the handwork room is enthusiastic. After taking some time off from fiber arts, for the most part, this summer (knitting at the beach after applying sunscreen did not give its usual appeal) myself and the students have been eager to get back to our daily dose of knitting. Students are knitting scarves, crocheting recorder cases, designing cross stitch patterns, knitting socks and mittens with double pointed needles, and studying the ins and outs of sewing machines. I have missed watching students create beautiful work but more than that I have missed seeing what these creations do to their confidence. It is no small feat learning how to knit or to follow a pattern. It takes time to see how a cross stitch needle goes in and out to create a perfect stitch. Using size 3, double-pointed needles to make not just one mitten, but two, takes a huge amount of determination and focus. It is my job to teach technique, fix dropped stitches, encourage another row when all feels lost. But what I have realized more than anything about being Ms. Hopewell at the Waldorf School of Cape Cod is that it’s not just about guiding students to create work. Handwork is about finding a piece of yourself that you might not have seen before. This finding is unique and different for each student. It might be a creative side that they had not plugged into before. It might ease their anxiety to the point where they ask me if they could bring their knitting home to work on. It might be a way for them to be more in their body at a time when screens are the norm for free time. More common than not, I see students feel truly surprised that they are able to make something so beautiful. It gives them confidence in themselves that they can translate throughout their lives when things feel difficult. They become the best versions of themselves when they are creating and it is a gift to be able to guide them through this process. If you have not heard about this worthwhile performance, or see it in a tri-color aerial display, I hereby welcome you to attend this special showing all the way from England to our very own gym on Sunday, Oct 14th at 1pm! THIS WAR IS NOT INEVITABLE is a play that is full of hope and conviction that we can create a better world. It is a moving adaptation of Rudolf Steiner’s emerging presence with intellectuals, policy-makers and the citizenry of post-WWI Germany. Brought to life by two exceptional actors, it is especially relevant to all parents, teachers, and friends, who know, love, and support the work of Waldorf schools throughout the world. The play starts amid the desolation of the First World War. We see Rudolf Steiner giving life to ideas that may have shortened the war by more than a year and prevented the second World War and all of its devastation. The actors help us to understand Steiner’s vision with warmth, humor and precision and invite us to consider how these ideas could exert influence in the chaos of our modern times. THIS WAR IS NOT INEVITABLE was written by Michael Burton and is performed by Mr. Burton and East Coast actor (and former Waldorf School student) Christian Peterson. The performance is not suitable for children under the age of 14, so we are working hard to have childcare available. We hope to help as many people view this play as possible, to raise the level of discourse and plant the seeds for peace. 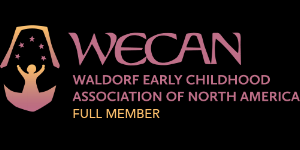 In the Waldorf Curriculum, a different continent is covered each year. Usually the teacher starts with North America in fifth grade and finishes with Africa in the eighth. Things get more complicated with combined grades. And if you are mathematically inclined, you already have realized that if there are seven continents, and you start in fifth grade, a teacher will run out of years before you run out of continents. Are there seven continents? We tackled that question last year in preparation for our study of Europe. We found that there is significant disagreement about the number of continents. Some say seven; some say five; some say three. You see, continents are one of those things that seem simple and obvious, but when you examine them are devilishly difficult to define. I am inclined to go with the traditional seven, inspired by a beautiful essay written by a student last year who argued that there were seven continents because seven is the perfect number and the world created by God must be perfect. So we are on our journey to Africa and we are finding that large gaps in our knowledge are going to be filled. We are remembering and deepening our knowledge of animals and biomes covered in fourth and fifth grade. We are also recalling even earlier knowledge from third and fifth grade of plants and agriculture. We are remembering things about shelter, clothing and people. I like to think of eighth grade as the final movement of a symphony that started years ago in first grade. Africa is truly worthy of symphonic treatment. It is the oldest of all the continents, the heart of the ancient continent of Pangea, from the time when all the continents of earth were united in one landmass. It is the first home of all human beings and many animal species. If there is a literal Garden of Eden it is in Africa. In seventh and eighth grade we can still enjoy the wonder of things, but we are also thirsty for the reality of things. The realities of contemporary Africa were brought to us by Mrs. Green, our gardening teacher, who spoke to us and shared photographs from her extensive travels in Sub Saharan Africa. Mrs. Green also brought African clothing, instruments and music, making her visit informative and a celebration. We have also had the opportunity to view documentaries about the hunter-gatherers of the African rainforests and the wildebeest migration of the savannah. The visit and the films have helped us to bring our conceptual knowledge to life. In the remaining week and a half we will focus on the sometimes glorious, but oftentimes sad, history of the continent. To start, we will look at the grandeur of the medieval kingdoms of West Africa. We will continue through the harshness of slavery and the colonial period. We will look at the hope of countries gaining independence tempered with an understanding of the political turmoil that accompanies it. During our journey we will hold an African song in our heart. Regardless of the sorrow it describes, African music expresses the joy and spirit of African lives. Hopefully we will be able to carry this song with us as we continue through our academic year.